Features: 350 cubic inch 4 bolt main crate engine, finished to 1967 appearance. Turbo 350 automatic. Power steering and power brakes. 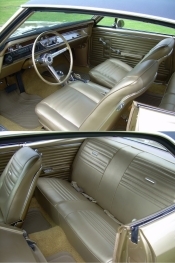 Interior and exterior completely restored as ordered from factory. No expense of labor or money were spared to bring this car to better than factory condition. Finished in factory Granada Gold exterior, gold bucket seat and console interior. Full gauge instrument cluster package and factory blinker-tach and clock all rebuilt and re-calibrated as part of the restoration. This car is immaculate in every detail and was unmolested and well cared for prior to purchase in 2008. It has all original panels and sheet metal throughout, and the floors/trunk are immaculate. It was always kept in a dry garage and only driven in sunny weather. 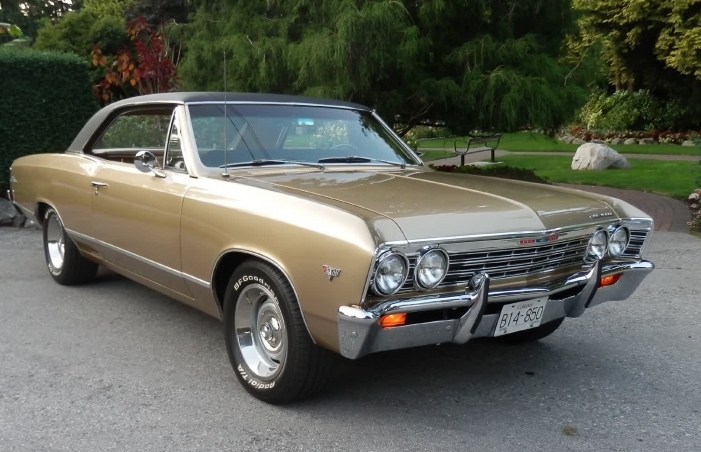 This car has collector status in British Columbia and was fully appraised at $40,000 in 2008. A professionally restored 3 owner Malibu. Quality parts, workmanship, and attention to detail evident throughout. Collectible Car Appraisals, Langley BC. I have continually maintained and upgraded as needed to present date. The car was built in the Fremont, CA factory and spent all of its life in Washington until I purchased it in early 2008 and imported it to BC. It comes with the original Protect-O-Plate and all service records back to 1975. This car needs absolutely nothing and is ready to enjoy. Additional pictures/details available upon request for serious inquirers. This page has been viewed 2129 times.